Today, PSO symbolizes more than just fuel. Its corporate image extends to well beyond the realm of fuel, a thoroughly deserved recognition earned since its historic turnaround over a decade ago. Non-Fuel Retail initiatives are not just revenue generating propositions; They mobilize PSO’s Forecourts in accordance with the market dynamics and offer strategic services to the population based on their territorial needs, ultimately creating a "Customer Centric image" of our Stations. Unquestionably, PSO has been globally acclaimed for its pioneering initiatives and the ‘unending series of firsts..
Unquestionably, PSO has been globally acclaimed for its pioneering initiatives and the ‘unending series of firsts’ that have led to its market dominance in virtually every facet of its business. Be it the fuel business or its corporate social responsibility initiatives, PSO being the innovative entity driven by unparalleled commitment, excels in every facet of the business, as its name symbolizes customer satisfaction and care, to say the least. PSO has often succeeded in turning an erstwhile dream into reality. Currently PSO is working with its existing and potential clients including Pizza Hut, Unilever Pak Ltd, Subway Ltd, Bread and Beyond for expansion of “Quick Service Restaurant” facilities across a number of stations on nationwide basis. Hence, the future looks extremely bright and encouraging for PSO where the only thing that remains constant in its vocabulary is ‘change and the pace at which such positive change takes place! Yet another first’ on the ‘oil marketing companies’ horizon! Given its endless appetite for providing to its customers, an added dimension of convenience. Yet another first’ on the ‘oil marketing companies’ horizon! Given its endless appetite for providing to its customers, an added dimension of convenience, PSO created history when it entered into a strategic corporate alliance with the leading global ‘pizza’ chain, namely ‘Pizza Hut’ at Lahore. 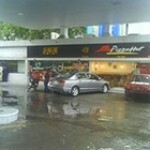 Another snap of Pizza Hut sunshine with new fascia! In order to carry on with similar endeavours PSO embarked on a similar initiative with Unilever Pak. In order to carry on with similar endeavours PSO embarked on a similar initiative with Unilever Pak. Ltd for establishing Walls Happiness Centres on our stations. Walls Happiness centre is a newly conceived and developed concept by Unilever for enriching the experience of the customers who intend to have ice cream in an exciting new manner and amidst great ambiance. The first such initiative got established on teen talwar PSO Station in Karachi, Pakistan’s largest metropolitan city. PSO has a bit for all its customers. 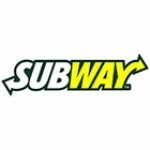 Our health conscious customers shall now enjoy subway sandwiches and salads at our stations. PSO has a bit for all its customers. Our health conscious customers shall now enjoy subway sandwiches and salads at our stations; Giving PSO customers the opportunity to tantalize their taste buds their own way. PSO has achieved yet another milestone by being first Oil Marketing Company and a non-financial institution for providing such wide array of financial services. 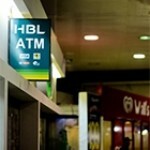 Currently, these facilities are available at sixty two locations, namely at Karachi, Lahore, Islamabad/Rawalpindi, Faisalabad, Multan and Peshawar; in collaboration with reputable banks like Standard Chartered Bank, Allied Bank Ltd and Habib Bank Ltd. PSO intends to increase the number of ATMs to hundred stations by June 2014. Through this alliance, customers can enjoy a secure and hassle-free, 24-hour ATM-service at major PSO outlets in the metro towns of the country. The ATM facility is available to all cardholders of ‘Mnet’ and ‘1 LINK’ members. This is basically, yet another step towards providing a ‘24x7 one window’ facility nation-wide. Indeed, this has been the hallmark of PSO’s turnaround and dominance in this fiercely competitive era, featuring the leading global entities on the energy-horizon. PSO’s alliance with these banks is aimed at making one’s experience at PSO, a most memorable one by reinforcing the underlying philosophy that ‘PSO clearly goes beyond fuel’. It is one of PSO’s initiatives that is aimed at continuously delivering enhanced service by redefining convenience for all customers.